Please book in advance via Eventbrite. We live in a time where it seems our society is becoming more and more polarised in the way it engages with and discusses issues with two opposing sides. As a society we seem to use words as weapons more than we do to create connection. 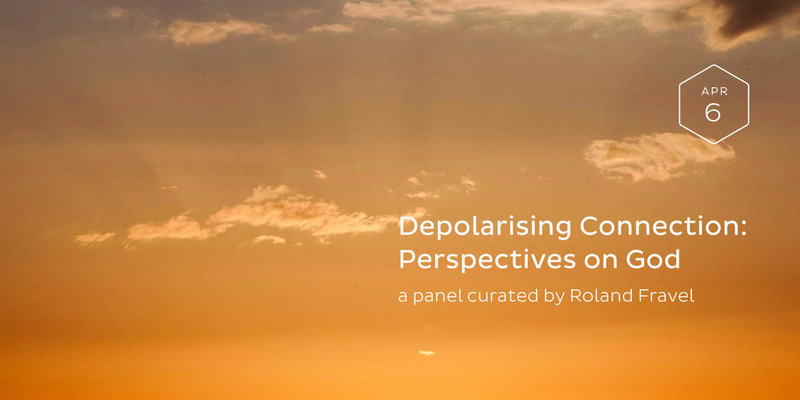 So if we are going to learn how to engage with topics that are potentially polarising in a way that leads to deepening connection as opposed to widening separation, then we might as well start with a big one! 'God' is a word that in just three little letters seems to be able to inspire love, hate, anger, generosity… the whole gamut of human emotions. A word meant to signify our connection with the divine, source, the universe, our eternal self… basically a concept so large we have spent most of human history trying explain! This service will be an opportunity to listen to three very different stories of people interacting with this thing we call 'God' to open a space for us to explore this concept in a way that will (hopefully) lead to greater understanding and empathy for the way each of us interact, or don’t interact, with this concept of 'God'. The Weekly Service is a community of people who gather to share food, participate in ritual, tell stories, sing, engage in discussions, and take time for quiet contemplation. The format of the service itself is a bit like one you'd find in a church, but unlike regular church we have no god, prophet or belief system. Everyone is welcome to join regardless of their religious and spiritual orientation (or lack thereof) provided you come with compassion and mutual respect. Please book in advance via Eventbrite. This service is being held at 75 Reid St, Fitzroy North.